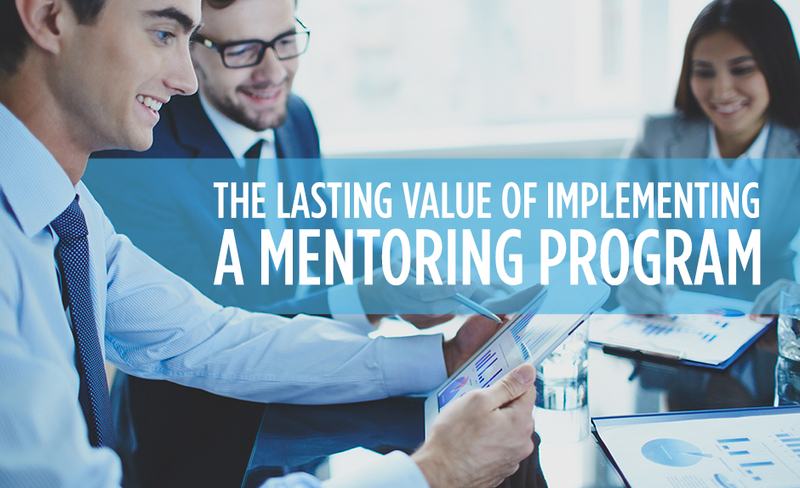 Implementing a mentoring program is one of the best things you can do for your business, providing both short-term and long-term benefits. Your program has the potential to provide opportunities for top talent to flourish and improve the overall quality of staff relations. Building upon each other's strengths. A mentorship program allows new staff members to learn the secrets of success from the seasoned veterans they work with. Mentors also have the opportunity to learn from their mentees, as young staff members provide new perspectives and knowledge of newer technologies. Fostering innovation and boosting motivation. A mentorship program provides the opportunity for the free flow of ideas among staff members from different generations and stages of their career. Collaboration from people with diverse views can create exciting new ideas. A mentorship program also gives young staff members a chance to be heard, and helps all employees feel as if you are investing in their success. This can also help reduce turnover. Cultivating talent who can develop institutional memory. A mentorship program also allows those who know the history of your company to pass values and ideals down to a new generation. Mentors can also identify young people who have promise to move up within the ranks of your company, producing future leaders and thinkers. A mentorship program is only as good as its participants. Eastridge Workforce Solutions can help you build a strong staff who will help each other grow and thrive. To find out more about how our staffing professionals can help your organization find the best possible employees for your organization, contact us today.